Tektronix introduced the new MSO/DPO70000DX Series of performance oscilloscopes that feature models with 23GHz, 25GHz, and 33GHz bandwidth and enhanced tools for debugging digital and analog circuits. The company also announced the world’s fastest and lowest noise oscilloscope probe with 33GHz bandwidth and industry leading sensitivity for low-voltage, high-speed serial and RF signals. With the new MSO70000DX mixed signal oscilloscopes, Tektronix continues to expand the industry’s deepest portfolio of MSO’s from 70MHz all the way up to 33GHz in analog bandwidth. With 16 digital channels provided on all Tektronix MSO’s, engineers are connecting and observing a greater amount of their design’s electrical behavior at one time, which shortens debug cycles and system validation. This enables design teams to complete electronic design characterizations on schedule. The new MSO70000DX instruments provide an 80 picosecond timing resolution on its 16 digital channels. This enables engineers to get accurate feedback on logic or protocol performance for serial buses like USB, I2C, and SPI in real-time while performing analog validation of high speed DDR memory on the 4 high-bandwidth channels. The TriMode probing system gives engineers a single probe setup for differential, single ended and common mode measurements for more value from each scope channel. Compared to the previous 70000D series oscilloscopes, new MSO/DPO70000DX models offer improved performance and capabilities at overall greater value. Moreover, the new models offer customers a variety of upgrade options to preserve investments as needs change including bandwidth upgrades, product conversions and trade-up programs. For example, the analog-only DPO70000DX versions provide options to add digital channels as needs change via a customer-installable kit. The MSO models are available with 23GHz, 25GHz, and 33GHz bandwidth and include iCapture simultaneous digital-analog acquisition capability, unique to Tektronix performance MSOs and logic analyzers. This feature allows the engineer to easily and quickly verify the analog characteristics of any of the 16 signals connected to the MSO70000DX series’ digital channels without changing probes or connections. Both the MSO and DPO models in the new series feature wider dynamic range of 600mV/div (6V full scale) at maximum voltage setting, five times more than the 70000D series. Record length is now four times as long at 1Gsamples/channel on two channels. Processor speed has also been improved which enables faster decode on longer records. In addition, the instruments support a more than 300,000 wfms/s acquisition rate. 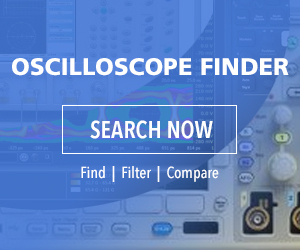 Complementing the MSO/DPO70000DX oscilloscopes are the P7600 series family of performance probes that now feature the industry’s highest available bandwidth at 33GHz coupled with increased sensitivity to 3.48mV/div. Their “remote head” architecture offers the shortest path to the input signal and lowest noise performance in its bandwidth class. The TriMode design provides the convenience of being able to perform differential, single-ended and common mode measurements with a single coax or solder-down connection.